In between making gifts and filling orders, I like to motivate myself with new ideas. 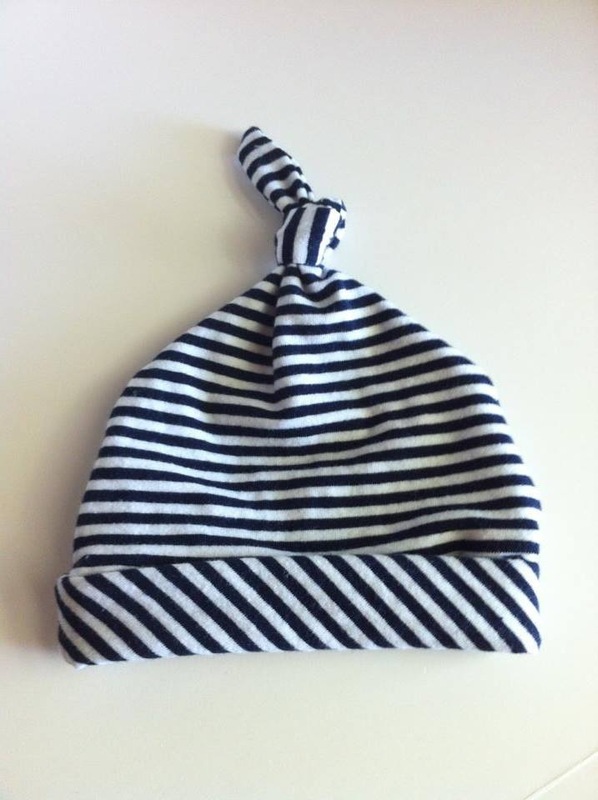 I’ve been wanting to sew a baby knot hat for a long time now just haven’t found the time or right materials. 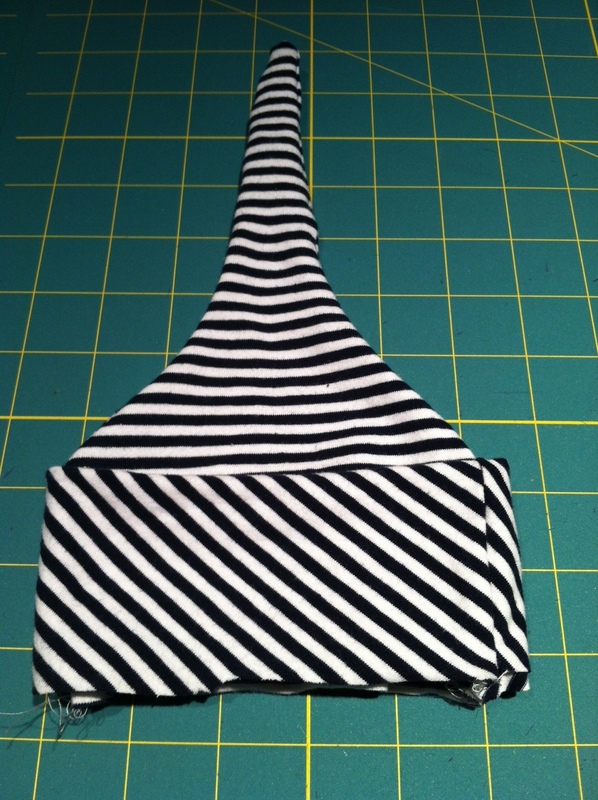 This week’s ‘quickie project’ came when I was cleaning out my closet of all the old and ill-fitting things. You ever buy something after you convince yourself it will look great only for it to sit in your closet for over a year unworn? Yea, I shoulda known better than to buy a short, strapless, fitted cotton knit dress last year. 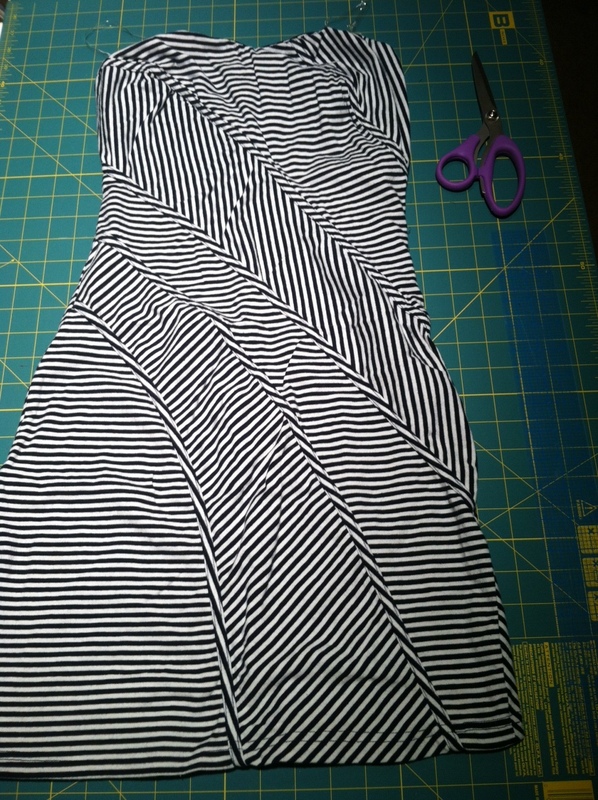 The fabric is a stretchy nautical looking blue and white striped knit but clearly the style of the dress was more for a teenager. I had told myself it would look great for summer, maybe in Vegas… just needed to lose a few pounds, tone my legs… you know the usual clothes pep talk. Well, that didn’t happen. So instead of tossing the never worn dress, I thought I would get something out of the fabric it was made up of. 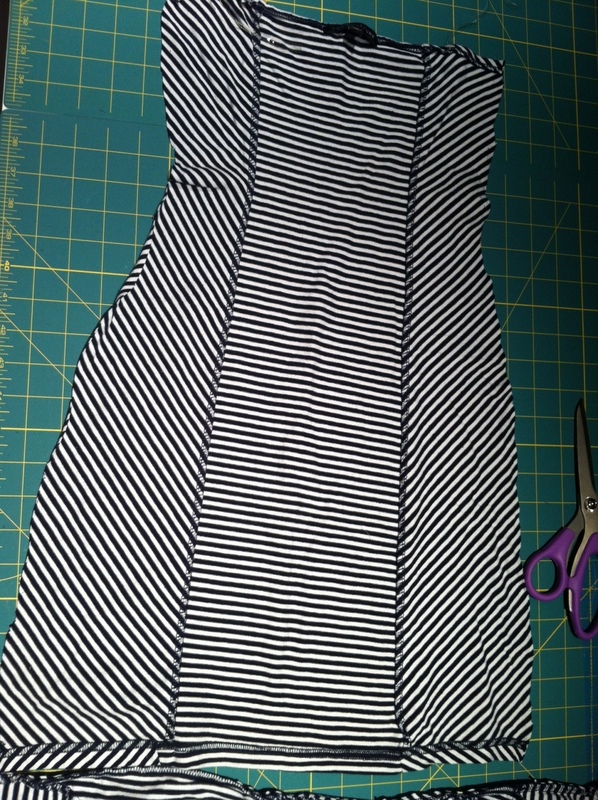 The front of the dress is sewn in panels, which doesn’t give a lot of usable continuous fabric. The back of the dress, had a lot more to offer. 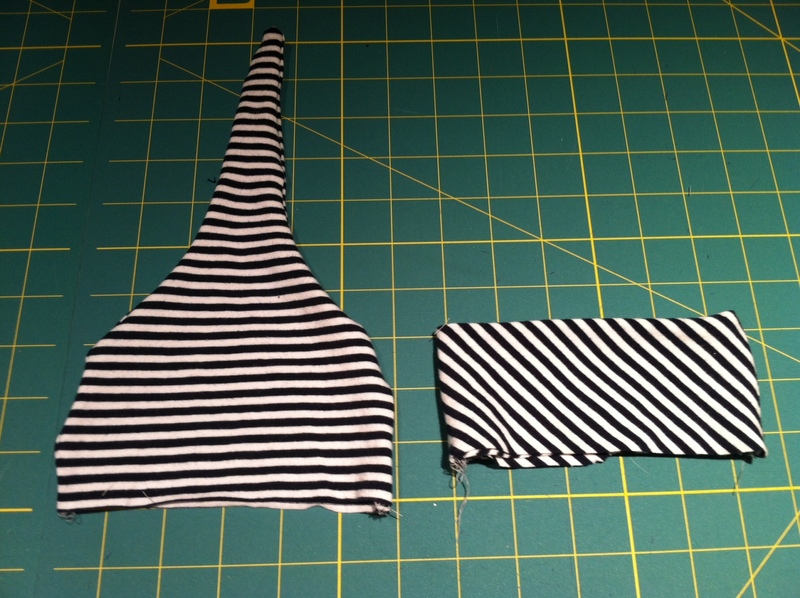 Once I had the front and back separated, I laid out my pattern pieces. 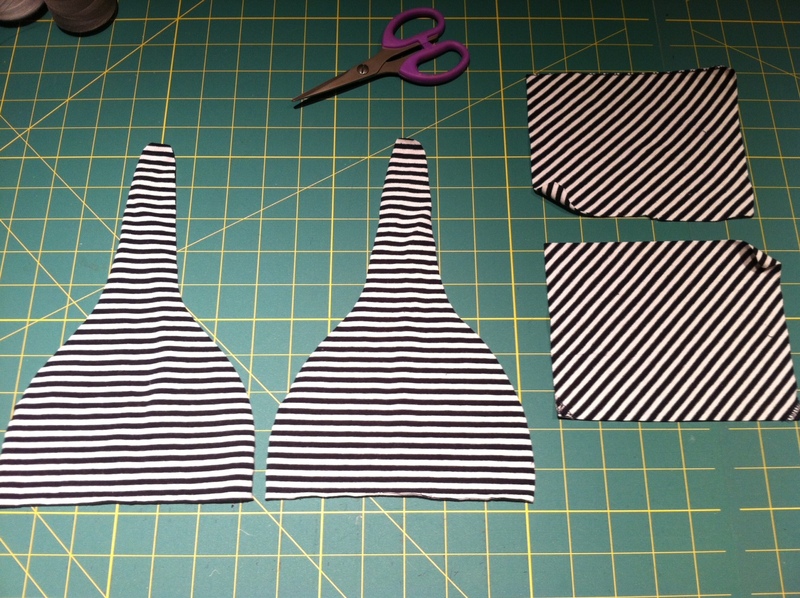 Yes, the shape of the hat pattern looks hilarious. But that is exactly what it is needed for the Top Knot Hat. 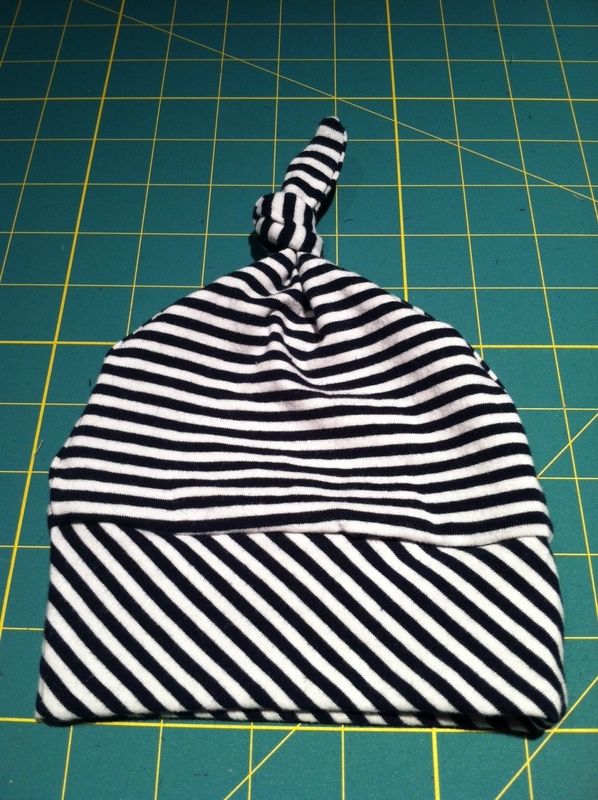 I was luck that there was just enough in the panels for a newborn size hat. I cut 2 of each. I liked the look of the stripes for the band being in a different direction. 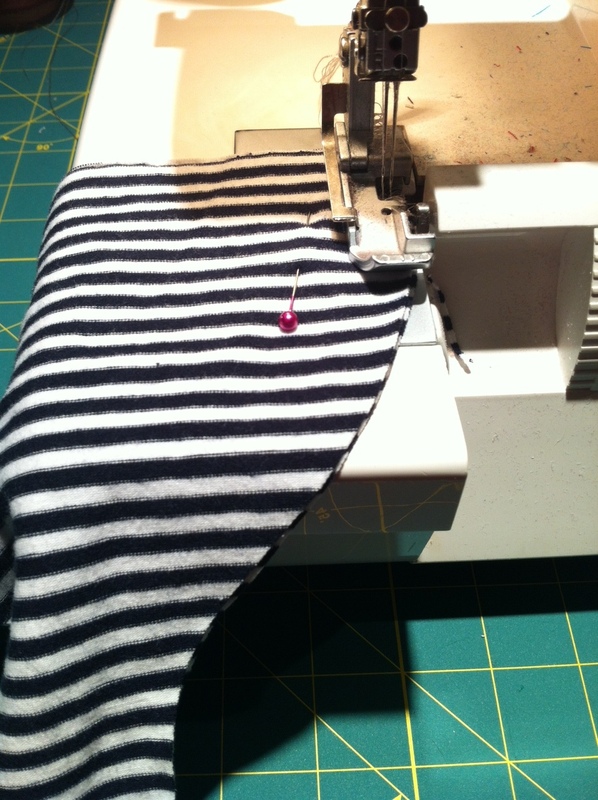 Luckily, the stretch in the bias was not a problem for the fabric. With the right sides together, I serged around the edges of the hat. I slid the hat into the center of the band (right sides touching) so that the raw edges of both the hat and band were together. I serged along the edge all the way around. Then folded the band down. Tied a knot into the ‘tail’. 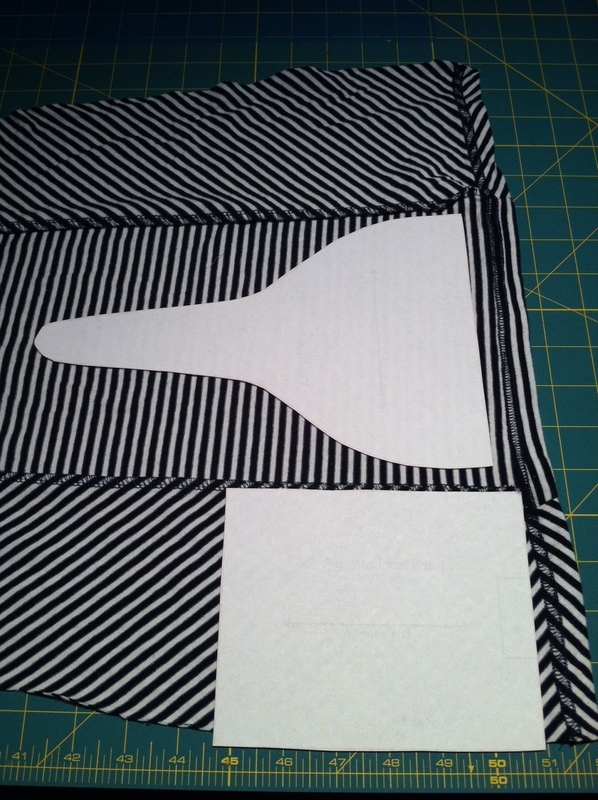 Fold the band up in half, wait for the sun to come up to capture a daytime photo, and TADA! Took me a whopping 15 minutes to whip this guy up! Not kidding. Left me itching to make more. I now have a pile of cotton knit clothes waiting to be rescued into something new and enjoyable. Best part is it cost me nothing! Is there somewhere I can get this template? Hi there! 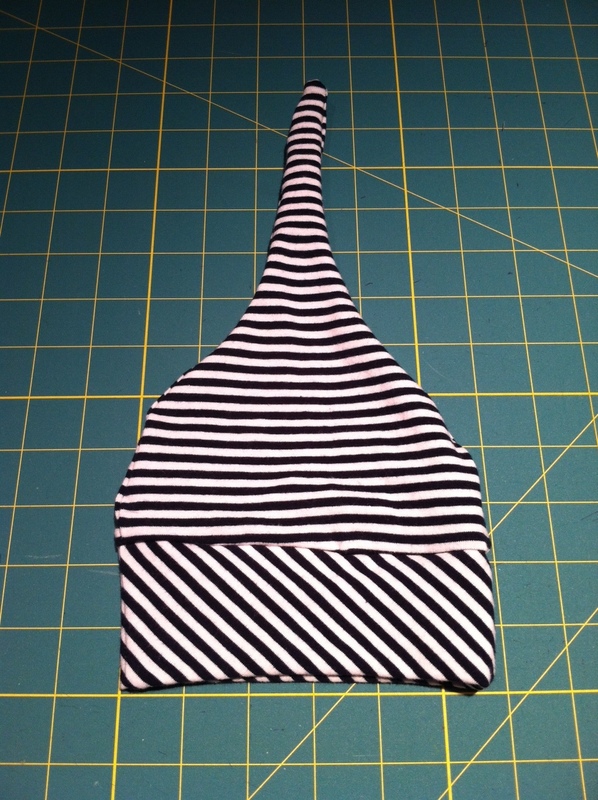 Here is a link to another blogger who has the printable template for a baby knot hat. Enjoy!